The roundtable discussion on CSOs’ involvement in the SOML-Pfor R (Saving One Million Lives Program for Results) held in the conference room of the SOML-PforR office on 13th April, 2017. In attendance were CSOs working in either intervention for direct provision of health services and/or monitoring at the community or rural level. The discussion, which was initiated by Connected Development [CODE] recognized the fact that there is a need for Civil Society to be carried along in the implementation processes of SOML-PforR to create greater cohesiveness between all arms of the society (government, private and civil society). The Paying for Results (P4R) approach was introduced: it is a tool structured towards redirecting the flow of resources to pay for results (desired goals, outcomes and impacts) rather than paying for inputs (processes or activity costs). 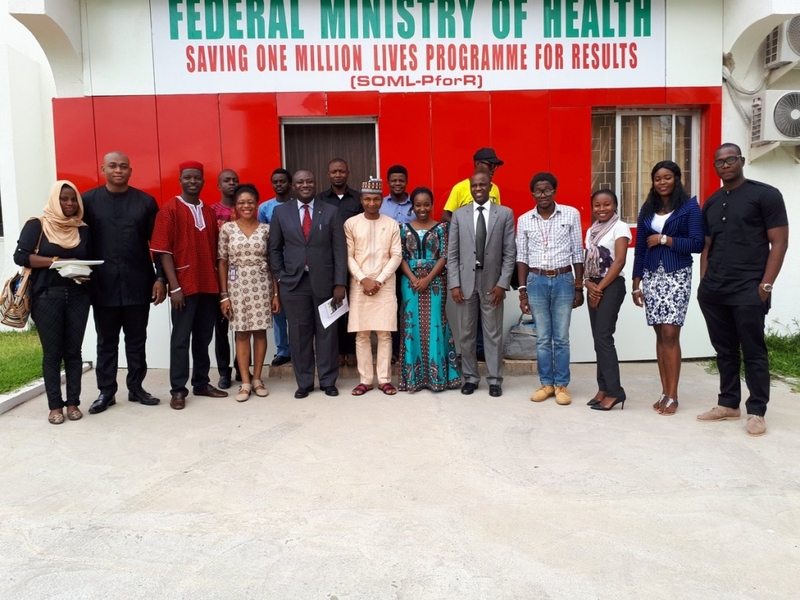 A key point of discussion that came out of the Roundtable was the fact that the overall goal of the SOML-PforR is to improve the overall health systems in the States, and States should see this as an opportunity to strengthen the health systems in their States since they are getting the fund and are at liberty to spend it to improve the DLIs without interference from the Federal Government. All the Organizations present agreed that the Roundtable was a step in the right direction in changing the narrative about the relationship between Government and Civil Societies in Nigeria. This will not only serve as a form of checks and balance on both sides but will help to engender TRUST and the values of Open Government in the Nigerian society. A Committee of CSOs for SOML-PforR in Nigeria should be set up to monitor the implementation of the SOML-PforR in all 36 States and the FCT. A framework should be put in place for the involvement of CSOs at the States and community levels for implementation of SOML-PforR to include CBOs, community leaders, stakeholders and other key players as well as citizens. The CSOs coalition should have sub-committees headed by chairs so that the CSOs can hold one another accountable and ensure that results come out of this coalition. A separate Roundtable Discussion should be organized for media engagement on the SOMLP-forR to bring a larger number of the media to understand how the programme works so as to drive the correct messages to the public. As communities are the direct beneficiaries of majority of the programme plans, they should be engaged effectively in the programme implementation as a way to piggyback information and increase accountability and trust at all levels of the society.